"I believe in academic standards. I believe that we ought to ensure our students graduate prepared for life and to attend college if they so choose. High expectations matter to our future as a state and a country. But it is wholly inappropriate and unlawful for federal bureaucrats to dictate to the states what our standards should be. However, just yesterday, President Obama's Education Secretary did what so many other federal agencies are doing under the leadership of this President -- disregard the law and make it up as they go along. The law does not allow the secretary to condition Oklahoma's waiver from No Child Left Behind on yielding the state's right to define and establish standards. It would appear in this case the Obama administration has exceeded its authority under the law and my office will continue our examination of the best manner in which the state will respond." OKLAHOMA CITY — An Oklahoma County district court judge yesterday ruled that using publicly funded scholarships for students with special needs at a private sectarian school was unconstitutional. However, the narrowly tailored decision held that scholarships from the Lindsey Nicole Henry Scholarships for Students with Disabilities Program Act could be used at private secular and religiously-affiliated schools. The ruling is a setback for the plaintiffs who were asking the judge to strike down the entire law. Instead, the judge upheld the basic program as constitutional with a “narrow” exception. OKLAHOMA CITY – Oklahoma House leaders expressed disappointment today after learning the federal government will pursue a punitive course of action following Oklahoma’s repeal of Common Core State Standards earlier this year. Oklahoma officials received a letter today from the United States Department of Education stating they will not renew Oklahoma’s No Child Left Behind waiver. This heavy handed decision comes after the passage of House Bill 3399, a measure which repealed the untested Common Core State Standards and put in place a process to develop and adopt new, superior standards with the help of Oklahoma higher-education and CareerTech systems. The U.S. Department of Education has deemed Oklahoma’s pursuit of proven college and career-ready standards to be a failure to adhere to the NCLB waiver principles. “I challenge the U.S. Dept. of Education to ‘demonstrate’ that Common Core is college and career ready in Oklahoma before they begin dictating how we run our state’s education system,” said Rep. Jason Nelson, R-Oklahoma City. “They can’t do it. Each state’s college remediation requirements are different and they have absolutely no idea if Common Core meets their own requirements. 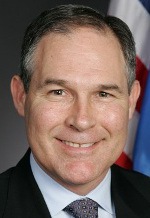 OKLAHOMA CITY – Attorney General Scott Pruitt said Thursday he would appeal a ruling that invalidated a portion of the Lindsey Nicole Henry Scholarship program, which allows parents of children with disabilities to obtain scholarship money from the state to fund their child’s attendance at a school of their choosing. A district court judge ruled funds from the scholarship program cannot be used to send students with disabilities to sectarian schools. The judge's order is stayed pending appeal, which means the scholarship program remains unchanged for now. Positive Tomorrows is an exclusive private school serving very special children in the Oklahoma City area. This short documentary gives you a glimpse of the school's heart-warming mission in action. Education Savings Account legislation in Oklahoma would help more students in need gain access to schools like Positive Tomorrows. Your help is needed to make this opportunity a reality for more children. OKLAHOMA CITY -- Three state legislators are working with a conservative think tank to ensure that welfare is used as the temporary safety net that it was designed to be rather than a long term crutch. Last week, Sen. Rob Standridge worked with the Oklahoma Council of Public Affairs (OCPA) in hosting a forum on welfare reform in Oklahoma along with Rep. Jason Nelson and Rep. Tom Newell. 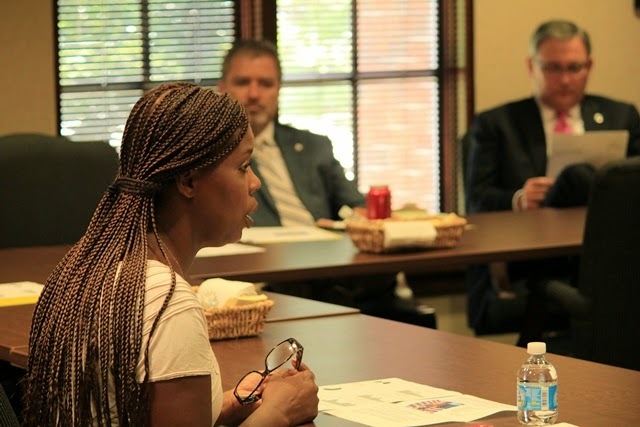 The featured speaker was conservative political activist Star Parker who discussed her visionary ideas on empowering those trapped in the welfare system. Rep. Tom Newell (R-Seminole) at a recent OCPA forum. Parker is the founder and president of the Center for Urban Renewal and Education (CURE) in Washington, D.C., which works to create a national dialogue on issues of race and poverty. Parker opposes many welfare programs believing that instead of teaching people how to take care of themselves, they create a system of government reliance and helplessness. Parker had seven years of first-hand experience in the grip of welfare dependency. Now, as a social policy consultant, she works with policy makers on how to transition America's poor from government dependency. 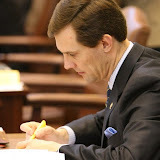 As Vice Chairman of the Senate Health and Human Services Committee, Standridge has been a strong advocate of welfare reform authoring numerous measures to address Oklahomans’ growing reliance on government assistance. 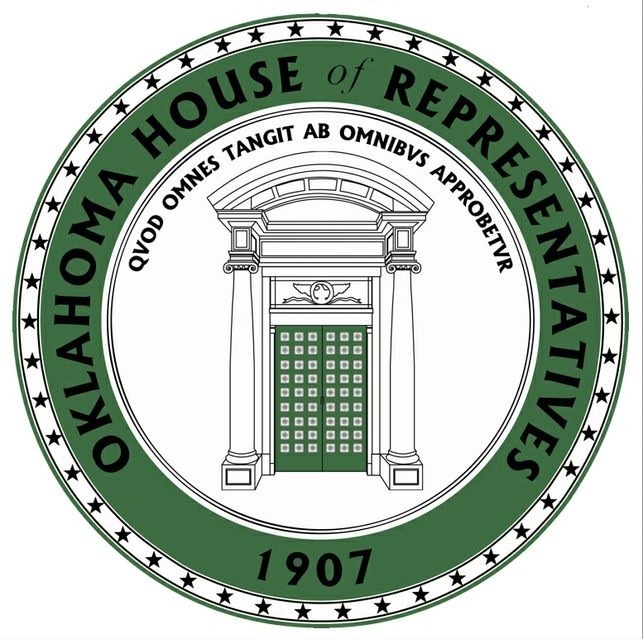 The Senate Health and Human Services Committee will be conducting an interim study this fall on Oklahoma’s welfare-to-work programs and the long term impacts of House Bill 2388, which allows DHS to deny Temporary Assistance for Needy Families (TANF) benefits to applicants found using controlled substances. Nelson, who is the House Deputy Majority Floor Leader, serves as a member of both the House Appropriations and Budget Committee and Conference Committee on Health and Human Services. Newell serves as the Chair of the Conference Committee on Health and Human Services as well as the Appropriations and Budget Committee on Health and Human Services. The legislators will be working together to introduce strong welfare reform measures in the 2015 legislative session. The bill request deadline will be in early December.